KUALA LUMPUR — November 23, 2018: The government’s announcement today that it is not ratifying the International Convention on the Elimination of All Forms of Racial Discrimination (ICERD) has apparently not dampened the belligerence of its opponents. 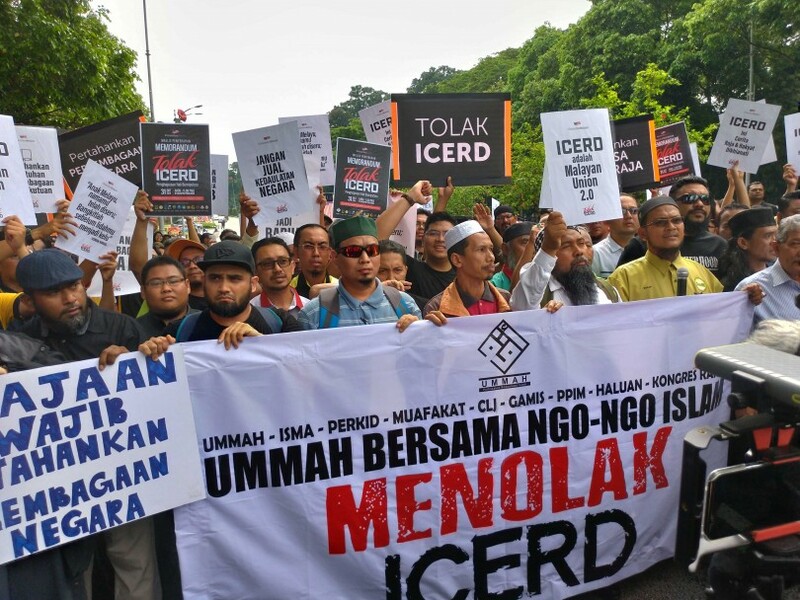 Organisers of a rally to oppose the ICERD, planned for Dataran Merdeka on December, insist that they will proceed with it. A spokesman for the Gerakan Pembela Ummah and Sekretariat Kedaulatan Negara maintained today that the rally and a congress this Sunday will proceed as planned because non-governmental organisations want to highlight other matters threatening national harmony and unity. “We will peacefully gather on Dec. 8 to voice not just our worry about ICERD but also other issues that can potentially threaten the country’s stability and harmony,” said the spokesman. The government decision not to ratify the convention was confirmed today via a statement from the Prime Minister’s Office. While the statement does not elaborate the reasons, it does say that the government is committed to safeguarding the federal Constitution. “The government will continue to protect the Constitution which enshrines the country’s social contract that was agreed by the representatives of all races during the formation of the country,” it states clearly. The contentious issue of ratification was first announced by National Unity and Social Well-being Minister P. Waytha Moorthy late last month. 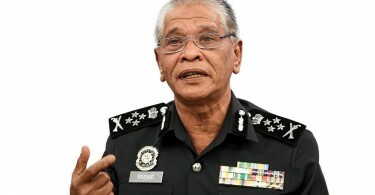 That did not go down well with many of the country’s ethnic majority Malays, who viewed the announcement as a backdoor attempt to negate Article 153 of the Constitution which enshrines the special rights of the Malays and Bumiputeras. Article 153 is the basis of the Malay- and Bumi-centric policies aimed at improving their economic positions because despite being the majority, they comprise the bulk of Malaysia’s lower income segment. While Moorthy had repeatedly assured that ratification will affect neither Article 153 nor the Constitution itself, the blowback continued to gather steam so much so that a protest was held outside Parliament on November 1. Last week Prime Minister Tun Dr. Mahathir Mohamad admitted that it is impossible to ratify the ICERD without amending the Constitution and that would be difficult because it needs the support of two thirds of MPs, which the government doesn’t have. The previous Barisan Nasional government had twice looked at the possibility of ratification, in 2011 and 2015, but dropped the idea after deciding that it was ill-suited to the Malaysian environment.